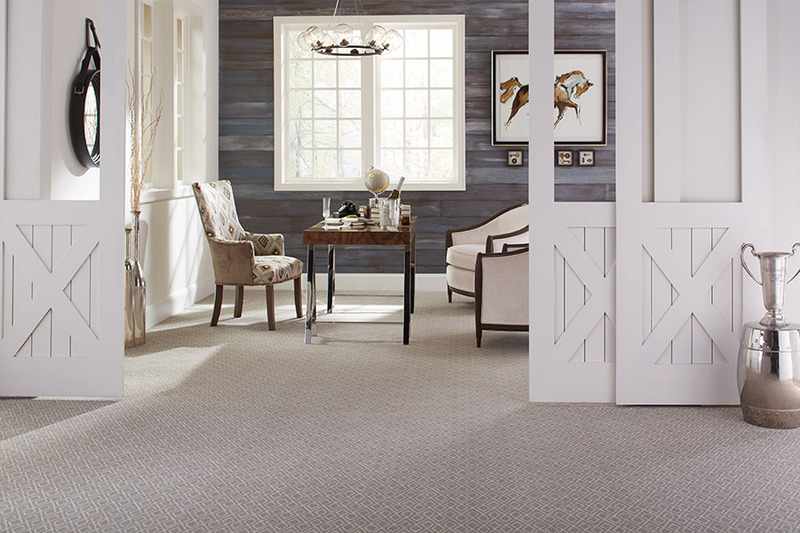 Among the vast amount of flooring on the market to choose from, carpet offers a bit of an oasis in the midst. With luxurious underfoot softness and many more benefits than have ever been available to the homeowner, it seems to be holding its own in the flooring world. If you’ve never experienced this material before, or even if you have, now couldn’t be a better time for checking out the only soft-surface flooring on the market. Next Day Floors has six showroom locations so you will find us with ease. Just visit us in Baltimore, MD; Columbia, MD; Glen Burnie, MD; Annapolis, MD; Dundalk, MD; and Parkville, MD. We offer every customer a flooring experience that includes excellent attention and customer service, and great products and services to fit any budget. Our philosophy is that “The Customer is King” and you’ll quickly find what that means for you when you visit us at either of these showrooms. The fact that you’ve decided on carpet for your new floor covering tells us a lot, already, about your desire for a comfortable home with all the benefits you need. It’s only natural that at the same time, you’re looking for that floor covering to last as long as possible. The best way to make that happen is to choose the perfect fiber for your home’s specific needs. Nylon and polyester are great choices for the busy home, where children and pets are often found. Both of these fibers offer excellent durability with colors that don’t readily fade, and an amount of resistance to stains and everyday wear and tear. 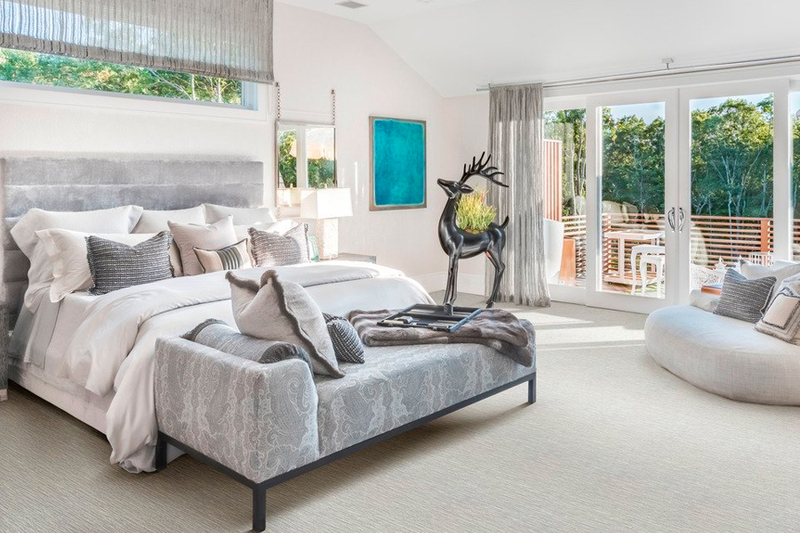 Homes with less traffic, or spaces that are less traveled, can be covered with something more plush and elegant. Your flooring specialist will be able to help you find the perfect fiber for your specific needs. Stain resistance has always been one of the most important things for anyone who considers carpet for their homes. The good news is, you can order this material with that stain resistance built right into the fibers themselves. Stains will not be able to soak into your floors, which means stains will not set, and will be much easier to clean up. What’s more, it won’t wear off after a few professional cleanings. You’ll have a floor covering that looks like new for many years to come when you shop any of our amazing carpet flooring selections. 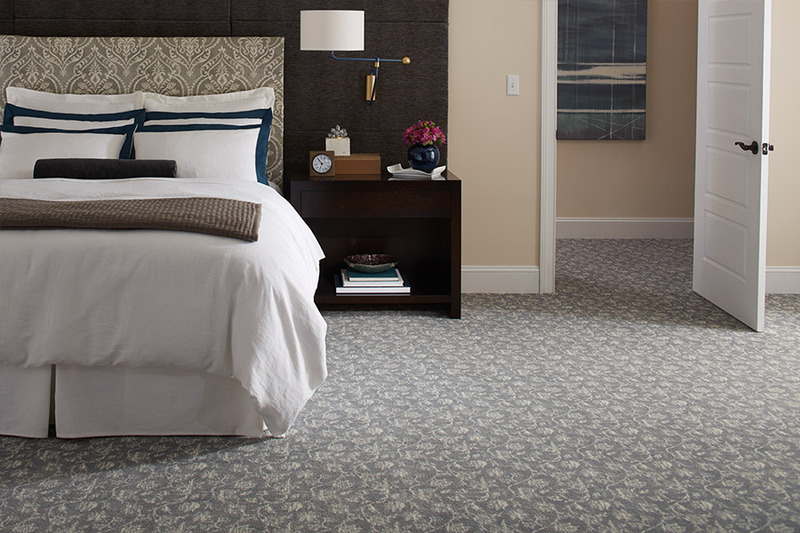 Pattern: Pattern carpet features islands of cut yarn contrast with loops to form a sculptured pattern. Excellent for hiding footprints. Berber (loop): Nylon Berbers are long-lasting and durable, so they hold up to heavy traffic and long-term use. Berbers woven from Olefin fibers are less durable, but lower in cost. So they’re better suited to low-traffic areas, or for renovating on a budget. Both Nylon and Olefin fibers are stain-resistant when treated. Textured: Yarns are twisted, then cut at uneven lengths that creates a rougher surface texture. As a result, textured carpets are less prone to show footprints, making textured carpets a great choice for high-traffic areas. Saxony (Plush): Saxony (or Plush) is made up of densely packed, level fibers that create smooth texture with a formal appearance. They also feel softer underfoot. Typically shows footprints and vacuum cleaner marks. Nylon: Nylon is durable, stain-resistant when treated, and can be used in any type of carpet. Its durability makes it great for high-traffic areas. It’s also generally higher in cost than other types. 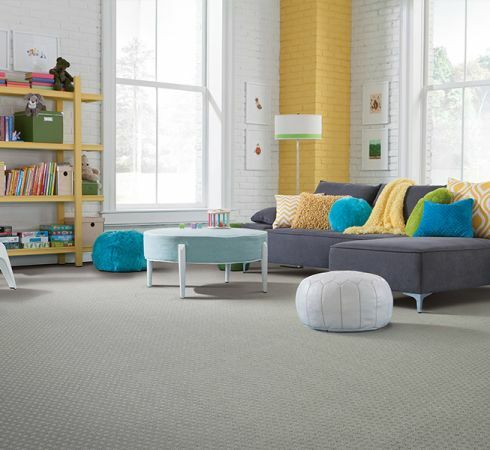 Olefin: Olefin is a stain-resistant, but delicate fiber that’s available in Berber carpet exclusively. It’s an economical choice that’s best used in low-traffic areas. Wool: Natural wool fibers are highly durable, long lasting, and versatile. They can be used in any type of carpet, although they’re prone to fuzzing and staining. Wool is generally the most costly fiber. Polyester: Polyester carpets take dye well, so they’re colorfast. 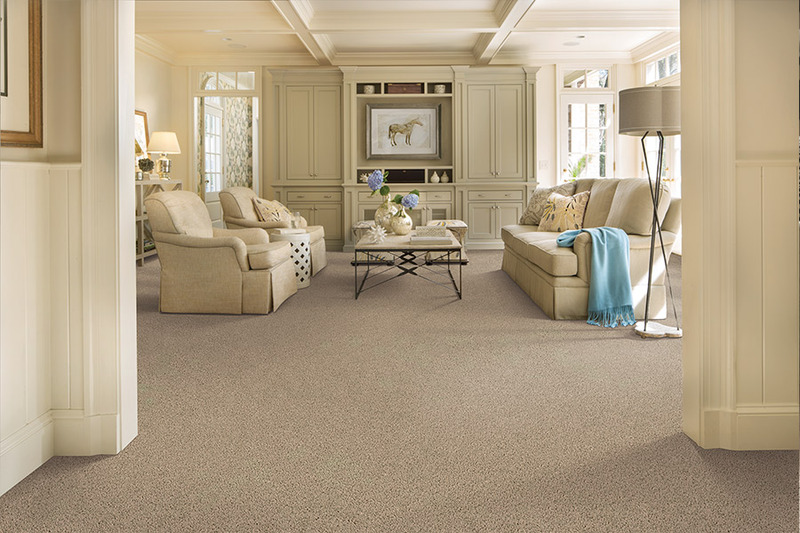 They’re stain-resistant, durable, and can be used in any type of carpet.